Rare and native grape varieties now get more and more attention from wine lovers all over the world. Many of them fell into oblivion over the centuries but we can still today enjoy wine from those varieties that were precious enough to be preserved in spite all the difficulties faced in their cultivation. Grk is one of these - an ancient variety of white grape. It has been growing in the sandy vineyards of the village of Lumbarda on the island of Korčula for over two thousand years. We do not know whether it got its name from its refined bitter taste (grk means bitter, or tart, in Croatian), or from the Greeks, who established a settlement in the area back in the 3rd century B.C. and brought their precious winemaking knowledge with them. 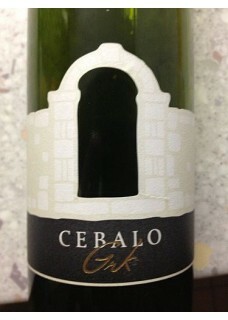 Grk Cebalo is a dry wine noted for its lightgreen-yellow colour with golden reflections and for its stunning aromas and flavours of lemon blossom, thyme and Mediterranean herbs, its understated oily texture, its lemon-laced minerality which streams through soft flavours of sage, oregano and lemon zest, its elegant acidity and its fresh, harmonious and lengthy finish. Food pairing: Seafood, oysters, white meat.